This is a gift from my friend, Nadia Herbst-McConnell. 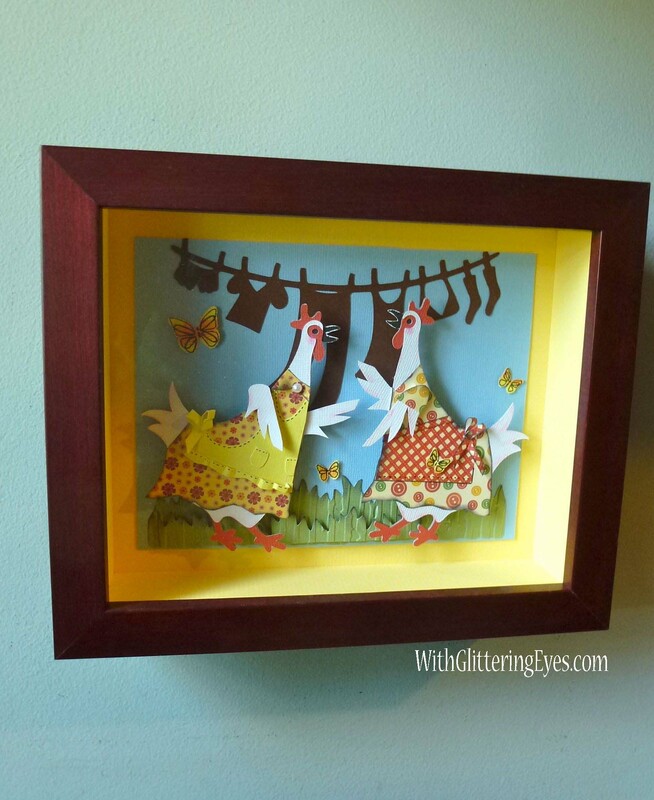 It is a keeper card, so I had it framed in a shadow box with a cherry molding. The picture does not do justice to the dimension, colors, and details. You can find all of the details at Nadia’s blog (WithGlitteringEyes.com) on her post here. Thank you again, Nadia. It is hanging in my crafty space at eye level. See you on wash day! Very cute, what a lovely gift! I am so glad you liked it– and that you think it is a keeper! Thank you for your kindness, as always!